I'm an intuitive healer and wellbeing coach. I love helping my clients feel better and I'm truly honored to be guiding my students on a part of their journey. On my own wellbeing & spiritual journey for many years, I've long been interested in good health, wellbeing, good nutrition (i.e., food as healthcare), energy medicine & spiritual practices. I'm a long-time meditator and have been practicing Reiki since 2009, beginning shortly after a serious injury and debilitating illness. As a Certified Meditation Instructor and a Reiki Master Teacher, it is a dream fulfilled now to be teaching practices which have made a tremendous difference in my own health and wellbeing. And, they can do the same for you. I'd be honored to show you how - join me for a class or treatment. Nikki found meditation more than 15 years ago and it made a profound impact on her life at that time and since. She learned and practiced many styles of meditation and fell in love with the practice. Spiritual practices like mediation and yoga and energy work have been part of her personal life for many years. 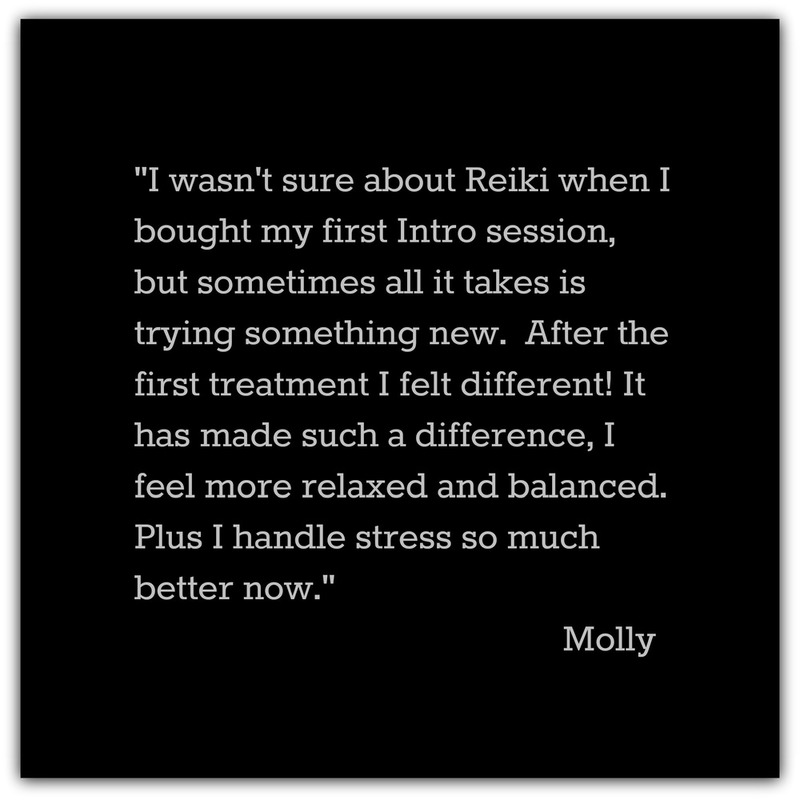 She followed through on an earlier interest of taking a Reiki class when she was looking for a holistic, self-healing tool and has loved the practice from the first day. 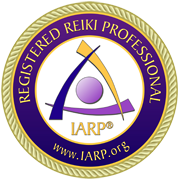 She later completed her Reiki Master Teacher certification in the Usui Shiki Ryoho tradition with Libby Barnett in 2010. This spiritual healing practice also has had a profound effect on her life & wellbeing. She began her professional Reiki practice in June 2011 at The Still Point in Takoma Park, Maryland; a wellness spa which has been regularly voted a Top Holistic Spa in the City Paper and Washingtonian. She also sees clients at her own beautiful healing space at Ellicott City Wellness Center in Ellicott City, Maryland. She often provides Absent Reiki treatments (sometimes known as Distance Reiki) and occasionally makes house calls for people or their pets. In early 2104, she completed her Shihan Kaku certification in Jikiden Reiki®, a non-westernized Reiki practice, with Frank Arjava Petter. As Shihan Kaku, she is permitted to teach Shoden (Jikiden Reiki Level I). More Info. 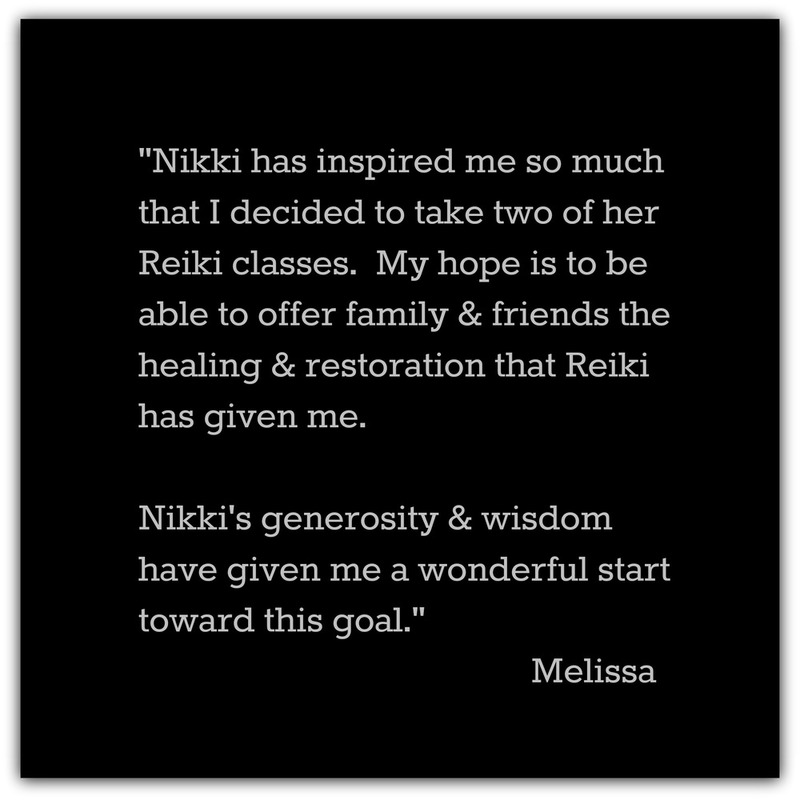 In August 2015, Nikki received her Medical Reiki MasterTM certification -- a course in best practices for offering Reiki sessions in medical settings such as in the operating room during surgery, the delivery room or during chemotherapy treatments. Nikki is also certified to practice Advanced Bioenergy Healing and Chakra Balancing, both effective energy balancing modalities. In addition to her successful practice and teaching Reiki classes, Nikki teaches meditation classes online and locally in Maryland and the Washington, DC metro area. She is certified to teach a mindfulness-based practice called the Simple, Easy, Every Day MeditationTM Method (SEED Meditation® Method) and is pleased to share this with individuals & groups, in classroom or corporate settings. She offers guided group meditation classes and the 3-hour SEED Meditation training. Nikki considers herself fortunate to have trained with many wonderfully gifted teachers, including: Dr. Rick Levy, Libby Barnett, Laura Alden Kamm, Mietek Wirkus, Jean Houston, Frank Arjava Petter, Pamela Miles, Sarah McLean, Aryln Kline and Raven Keyes. She is thrilled to be sharing these wonderful, life-transforming, simple practices with others and believes it is a privilege to be able to guide & coach those who want to feel better and improve their lives. She also now fulfills a dream of sharing these practices in beautiful retreat settings with her nourishing Wellbeing Retreats for Body & Soul. Why just wish? Start today!